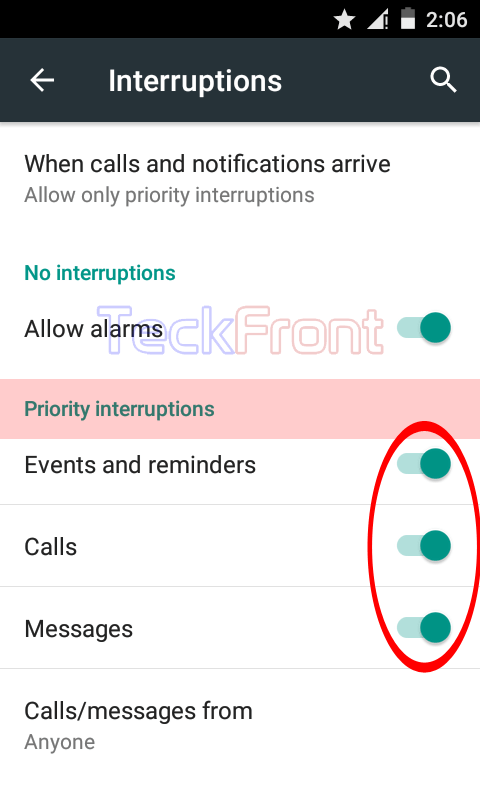 How to Select & Activate Priority Interruptions in Android 5.1 Lollipop? 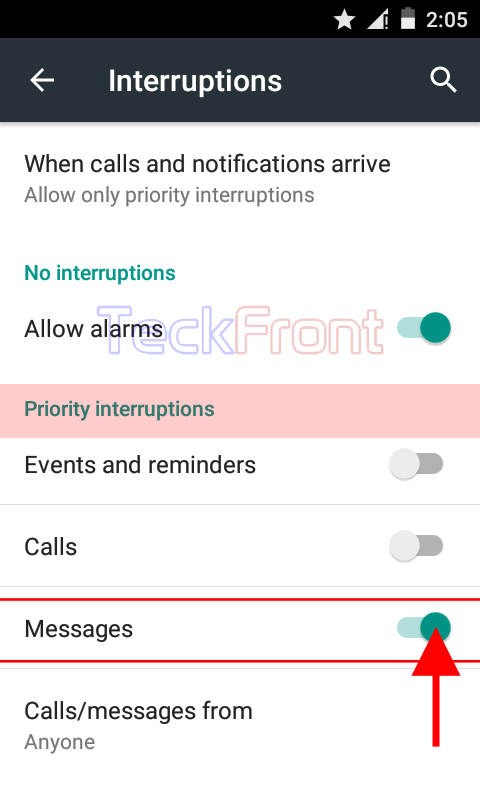 After selecting the priority interruption as default, you are required to select and enable priorities which will be allowed to interrupt as call/message etc. during the calls and other processes. 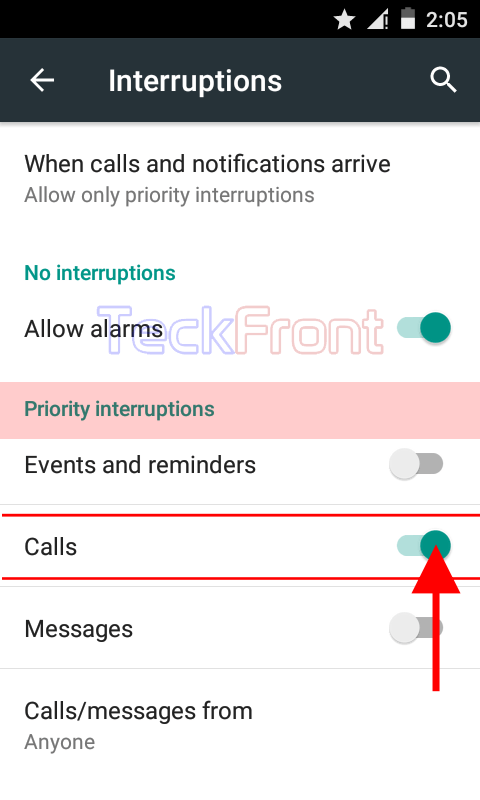 It is simple to select and enable the priorities which will be allowed to interrupt in Android device but if you feel any problem in doing so, you may see the instructions. 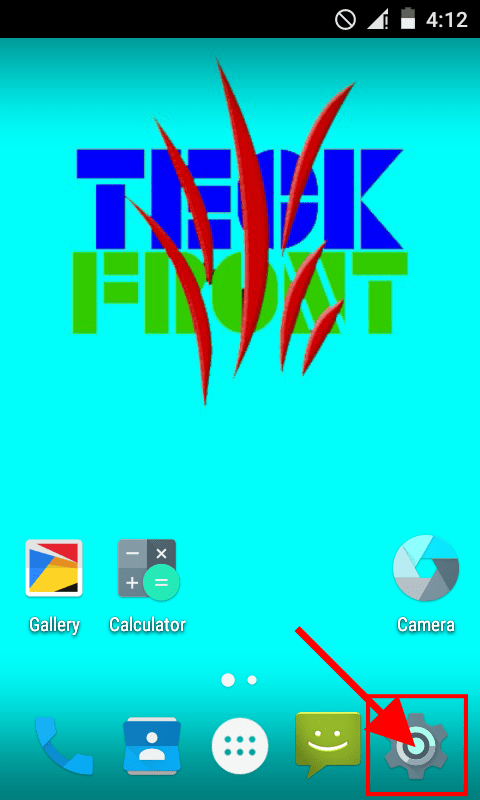 1: Tap the icon of ‘Settings’ on the Home screen of your Android 5.1 Lollipop device to open up the ‘Settings’ screen. 2: At the ‘Settings’ screen, scroll down to the ‘Device’ section, and tap ‘Sounds & notification’. It will open up the ‘Sounds & notification’ screen. 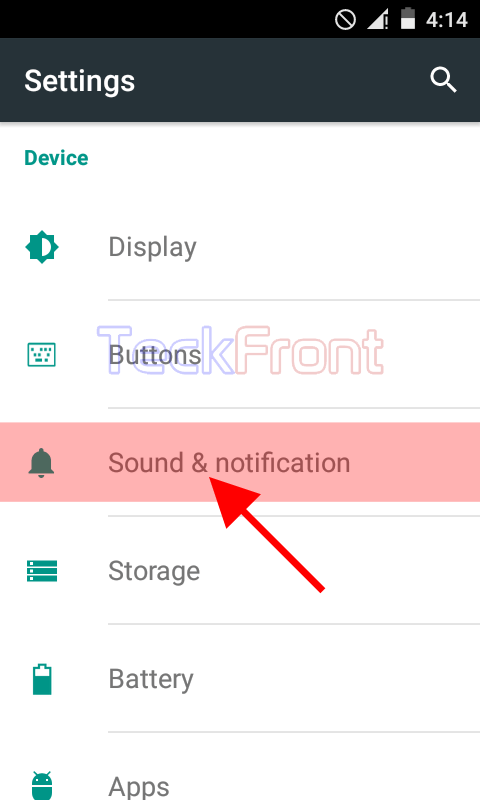 3: At the ‘Sounds & notification’ screen, tap the ‘Interruptions’. 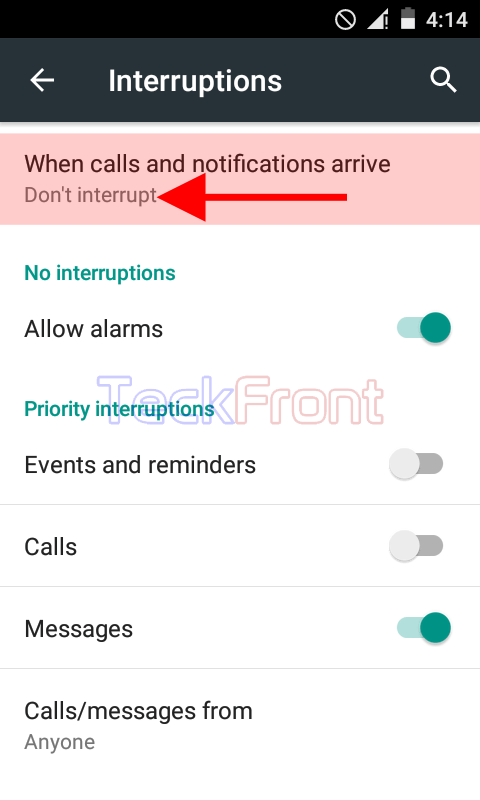 4: At the ‘Interruptions’ screen, see the current status of ‘When calls and notifications arrive’ is ‘Always interrupt’. 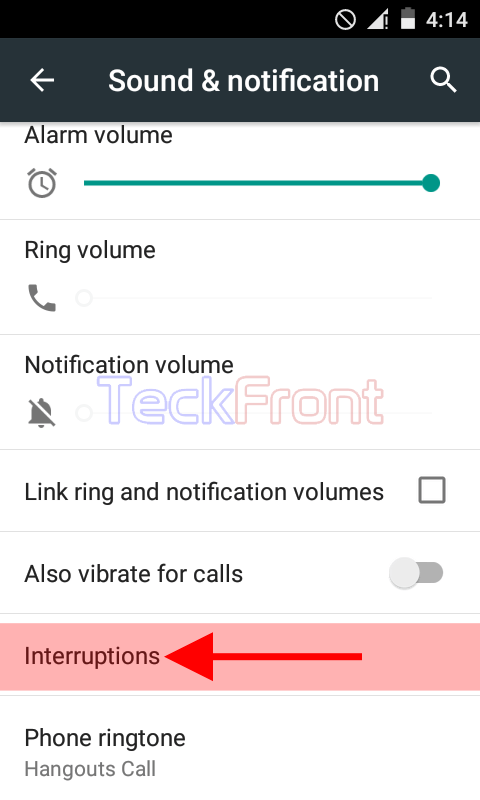 It means any incoming call, alarms or any other notification about any app on your Android device will always interrupt in the calls or any other ongoing on activity. 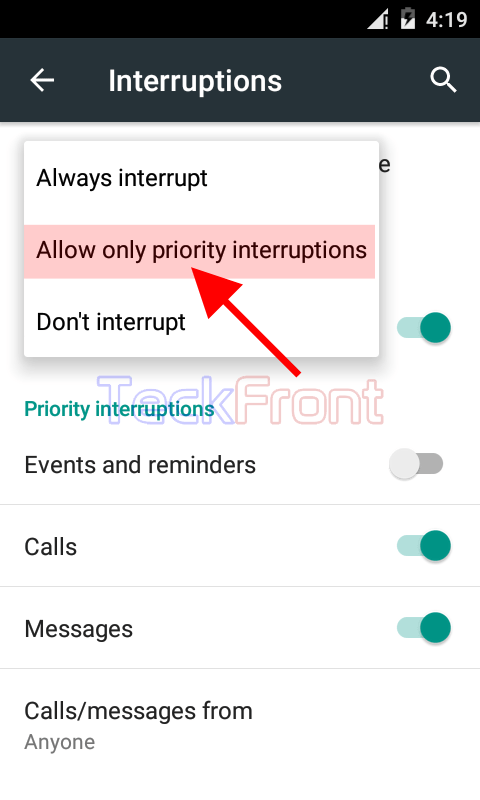 If you decide to opt ‘Allow only priority interruption’, tap it and its status will be changed from ‘Always interrupt’ to ‘Allow only priority interruptions’. 6: Now, you need to set the priority interruption, i.e. the types of priorities which will be allowed to interrupt during the calls and/or other ongoing Android processes. All these are disabled, currently. 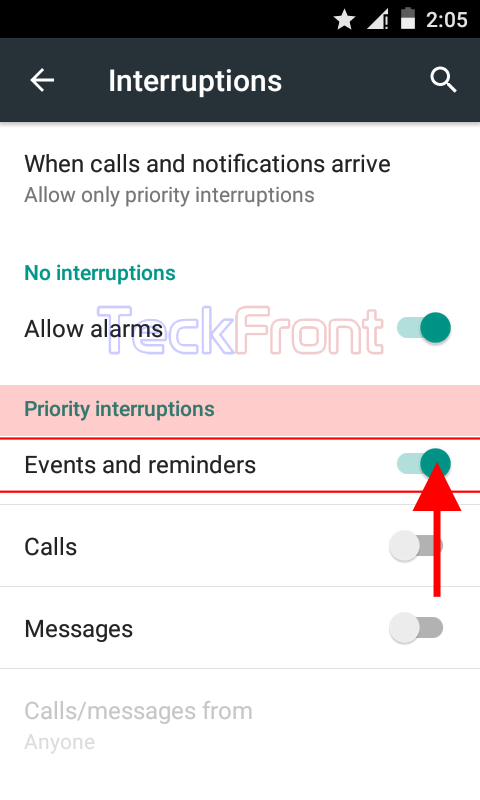 8: If you want only the ‘Events and reminders’ to interrupt in the calls and/or other ongoing processes, tap the ‘Events and reminders’ to enable. 9: If you want the ‘Calls’ to interrupt the calls and/or other ongoing processes, tap ‘Calls’ to enable it. 10: If you want the ‘Messages’ to interrupt the calls and/or other ongoing processes, tap the ‘Messages’ to enable them. 11: Alternatively, you may select any combination of the all 3 priorities or enable all the 3. That’s all! Newer How to Select Contacts to Interrupt by Calls & Messages in Android 5.1 Lollipop? 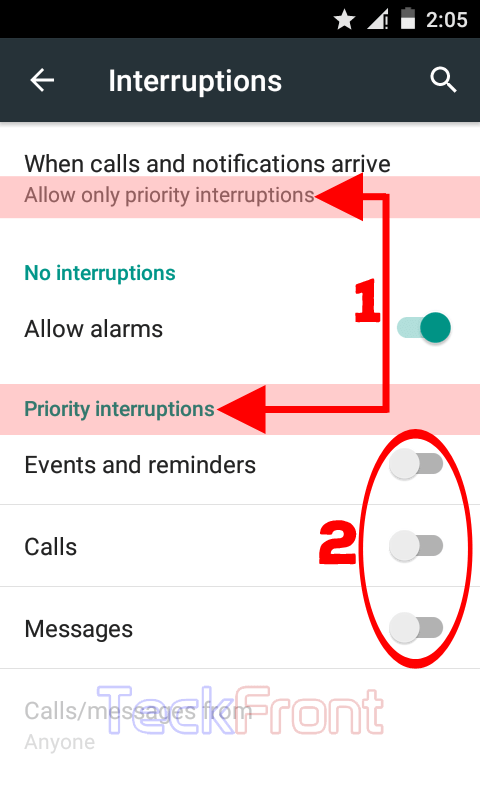 Older How to Set No Interruptions but Allow Alarms in Android 5.1 Lollipop Devices?